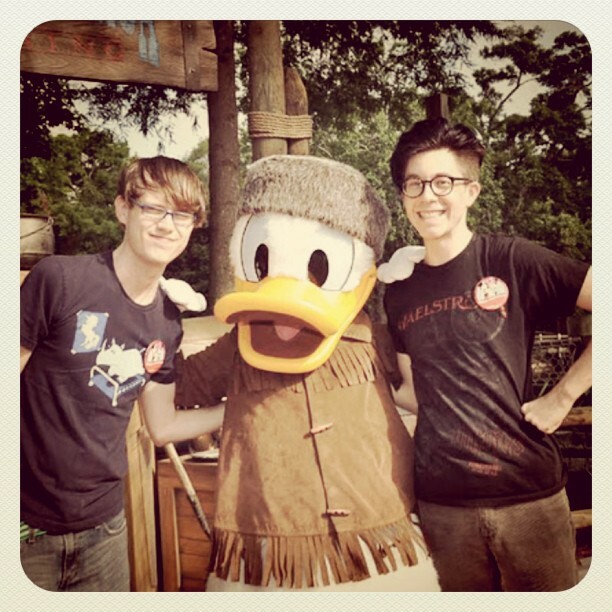 Disney Hipster Blog: A Little Donald Love. Why are we in Futureworld? Not even in our space costumes! There is an exception to the rule. One Mr. Donald Duck, in his various guises, always makes me happy. Donald, being one of the fab five is allowed to hang out where he wants, when he wants. He is babysitting the parks. There is something very reassuring about seeing Donald every time you pass through Frontierland. Kind of like a relative that keeps getting older and older, yet they still manage to get to Thanksgiving dinner. You're not even sure how you guys are related anymore, but there they are just the same. 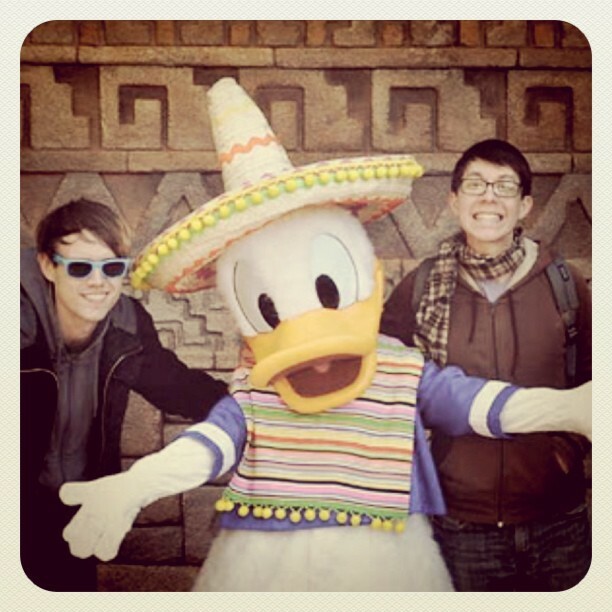 I heart senor Donald. I want his undersized poncho. OK, now that all the love is spread around, why the heck aren't the other two caballeros not involved in the above photo?!?! I know the costumes exist, and yet I've never met Panchito or my dream bird Jose. Please Epcot, make this happen.